The Sandwing Cavalry Mouse is a breed of mouse found in the Fiery Warpath location. It can be attracted and caught only during Wave Three. They are known to drop Desert Horseshoe. Having tamed both the beasts of the ground and the sky, this cavalry mouse brings terror to all who stand against it. Its only loyalties are to its Warmonger. Sandwing Cavalry Mice have no specific preference for any kind of cheese. The Sandwing Cavalry Mouse drops the Warpath Egg during the annual Spring Egg Hunt. Sandwing Cavalry Mice were introduced on 22 March 2011 with the release of the Sandtail Desert region. 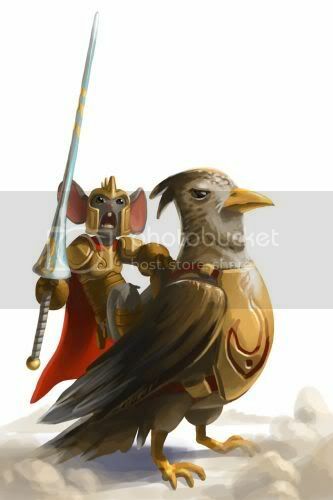 During the Spring Egg Hunt 2011, Sandwing Cavalry mice began dropping a bonus Warpath Egg as loot for hunters who had obtained the Rocket Rabbit Mallet. They dropped the same loot the following year during the Spring Egg Hunt 2012 event for hunters who had obtained the Eggscavator. This page was last edited on 18 September 2014, at 19:58.